Wine bars in Los Angeles have largely flown under the radar (blame all the hype over craft coffee and cocktail mixology instead) -- meaning that, while we weren’t paying attention, a legit scene has cropped up. There’s a little something for everyone: classic wine bars where oenophiles deliberate over flavor profiles, casual spots where a novice might feel comfortable sampling several merlots, and restaurants that take their wines as seriously as their food. 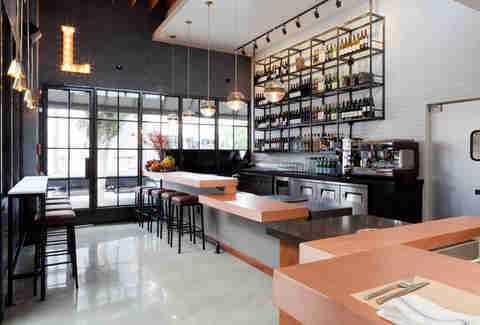 Ahead, a toast to LA’s best spots to sip, swirl, and sniff -- or just sip. 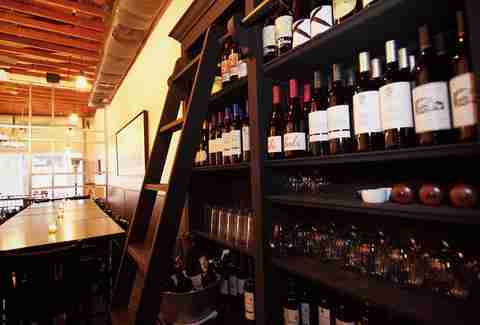 This Ocean Park establishment is a newish neighborhood favorite -- due in no small part to owner Maire Byrne’s smartly tailored wine selection, which is based on the restaurant’s seasonal menu and emphasizes diversity as well as regional hits. If a liquid diet doesn’t quite suffice, their handcrafted Neapolitan-style pizza and delectable small bites like lamb meatballs await. If you like wine but barely know your chardonnay from your cab, Bodega’s your jam. The folks here could care less if you don’t sniff the syrah -- they just want you to drink their damn wine, which is delicious, covers all the major varietals, and is served by the glass for $12 or under. 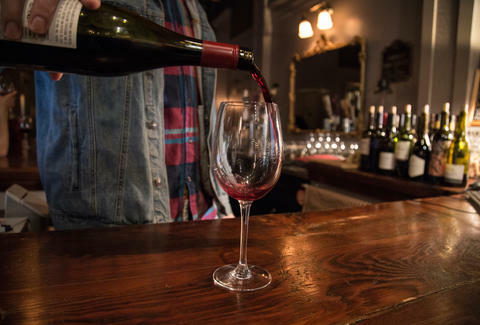 Some wine bars neglect the edibles, but not this hidden Arts District gem with a worldly wine portfolio. Plan to stay here a while -- they’ve got complimentary truffle popcorn, a substantial menu of Greek nachos and oxtail tacos, and crowd-pleasing games like Jenga, Connect Four, and Balderdash. At Covell, there’s no printed menu. Instead, you discuss your preferences for full-bodied, earthy reds with the friendly barkeeps and sample a number of their 150-plus options until you find a favorite (or several). 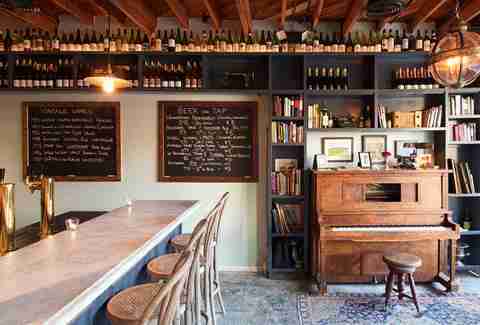 It works: Covell’s one of LA’s most exceptional wine bars and comes with zero condescension. This intimate wine shop, bar, and market is as charming as the landmark Art Deco building where it’s housed. 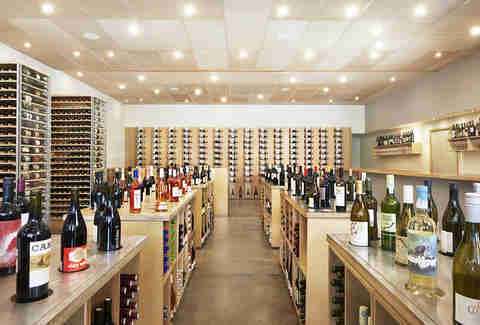 Co-owner Kathryn Coker (who also oversees next-door restaurant Cassia’s lauded wine program) has curated about 200 selections that include heavy-hitting Burgundies as well as boutique biodynamic wines from Santa Barbara and Sicily. Brought to you by the team behind Covell, one-year-old Augustine has seriously boosted the Valley’s street cred. 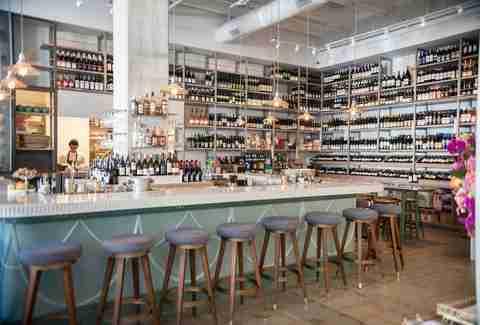 The stylish space serves up a rotating list of 60 international wines, as well as some incredibly rare and vintage wines -- their oldest sweet wine is an ancient 1860 ABS Boal Madeira. 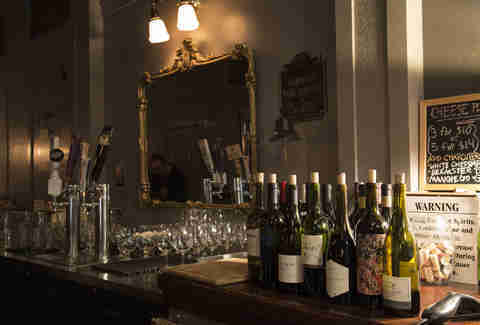 Owned by the folks behind the Arts District’s Everson Royce, Silver Lake Wine boasts a knowledgeable staff, an impressive and organized wine selection, and popular Thursday Night Flights where for $15, you get bread, butter, and three generous pours of red or white with which to wash it all down. Nothing beats an afternoon spent on Sonoma’s sun-drenched patio, sipping a crisp pinot and people-watching as bronzed, flip-flop-wearing Westsiders enjoy leisurely brunches. 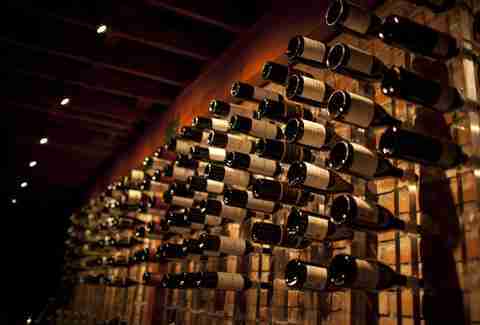 If their Californian and international wines please your palate, sign up for their wine club membership, which includes admission to tastings and other perks. 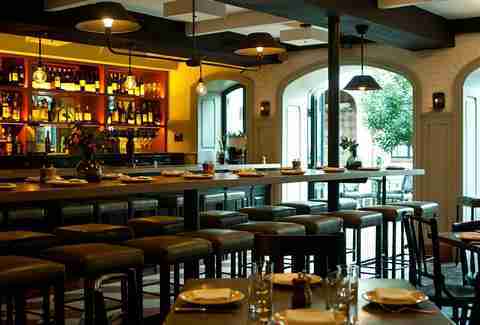 By day, Mignon masquerades as a pasta bar serving uni spaghetti to downtown nine-to-fivers. But by night, it’s a cozy French hideaway designed for wine and cheese aficionados, who come here as much for the small-production Old World wines as they do for mouthwatering artisanal cheeses, like soft-ripened Spanish Caña de Cabra and triple-cream Brillat Savarin. This intimate spot offers a rotating list that features off-the-beaten-path regions and indie winemakers. They also host innovative pairing events, like a recent Sriracha and wine dinner that included Sriracha BBQ pork mac 'n’ cheese accompanied by a 2013 Austrian Blaufränkisch. It’s not quite a wine bar since there’s a full restaurant attached, but AOC’s wine program was designed hand in hand with their small-plates-focused menu -- so both are robust, thoughtful, and flavorful. You’ll find everything from Napa Valley-sourced reds to sparkling Italian Lambrusco and Argentinian rosé, as well as an appealing date-appropriate vibe. This French wine bar has outposts in WeHo and Venice, both of which pack on the romance and charm with outdoor patios, string lights, and lots of wine. 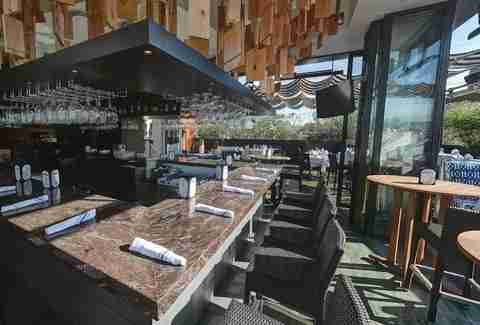 You’ll find a full menu of flatbreads, tartines, and quiche to go along with the libations -- making it the perfect spot for al fresco drinks and dining. Tiffany Tse is a contributor at Thrillist and still drinks her wine at home out of a coffee mug. Follow her adventures around town at @twinksy.